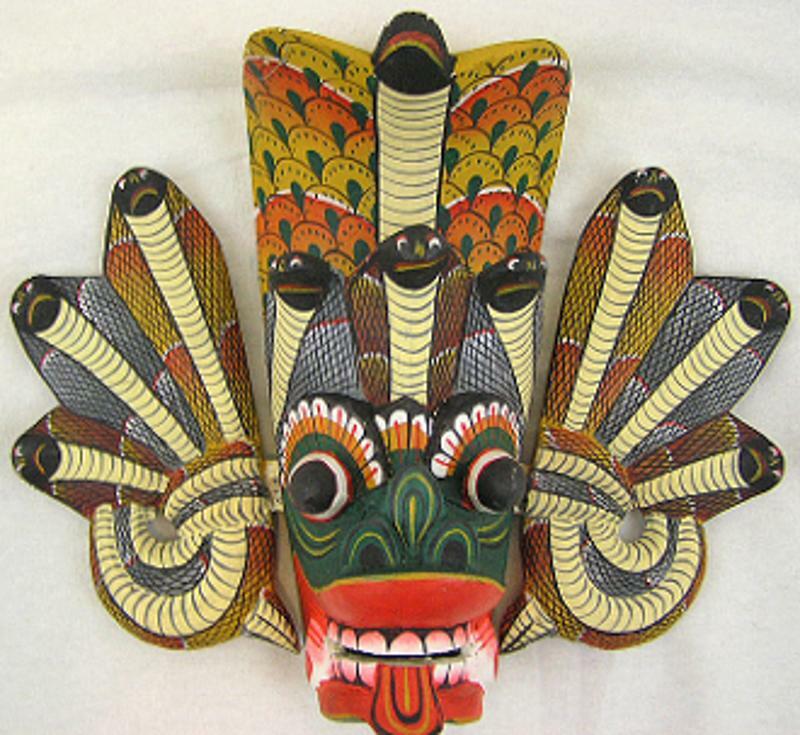 Sri Lanka Wooden Mask Crafts, Elephants Carvings Masks exporters manufacturers and supplier of Wooden Handicrafts. Ginijal Raaksha is a mythical creature embodying the opposite elements-Fire(Gini) and Water (Jal). Mask carving and mask dancing are an ancient Sri Lankan tradition. 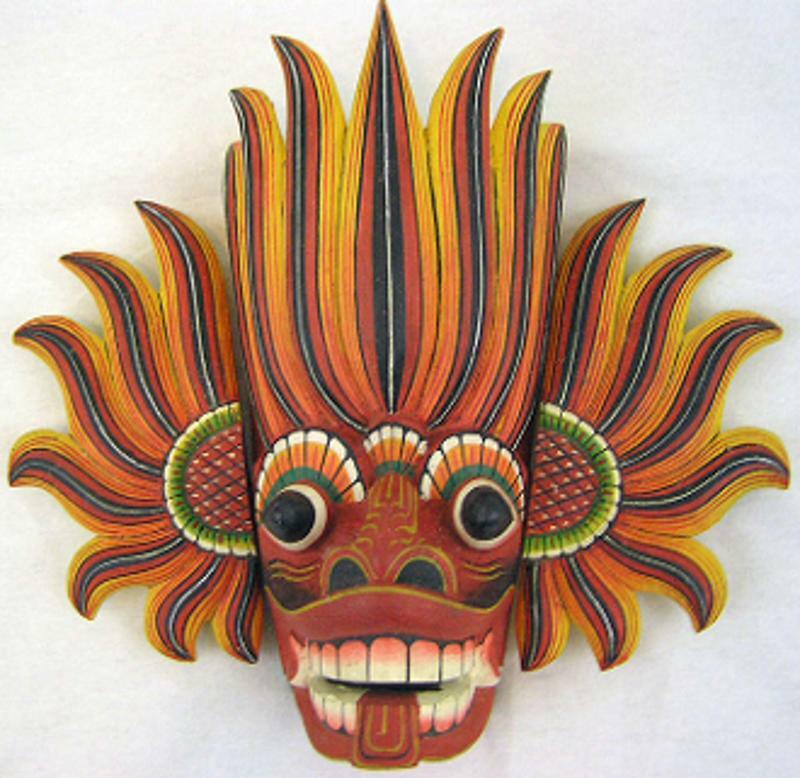 These masks are made of a soft and light balsa (kaduru) wood. It is a three-part construction, with the two detachable sides for easy transportation.